SOUTHAMPTON, PA, USA, September 14, 2016 – The National Aerospace Training and Research Center (“The NASTAR® Center”), a business unit of Environmental Tectonics Corporation (OTC Pink: ETCC) (“ETC” or the “Company”) today announced its selection as a team member in the Federal Aviation Administration Center of Excellence for Training Technology and Human Performance (“FAA COE for TTHP”). NASTAR® Center partners with Drexel University as part of a team led by Embry Riddle Aeronautical University. ETC’s NASTAR® Center brings to the team a world-class, multi-use aerospace training, research, and educational establishment, featuring an easily accessible facility to all types of customers including: Military, Civilian, Space, Research, and Education. 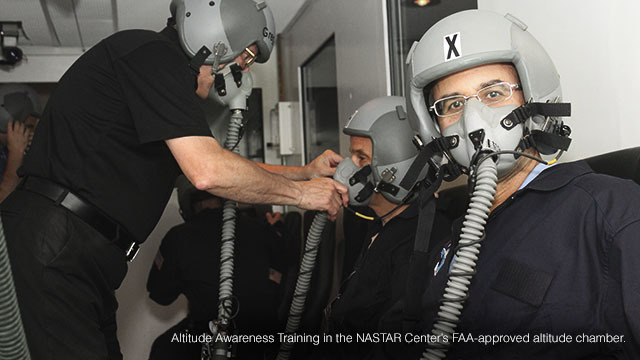 Since its establishment in 2007, the NASTAR® Center has combined state-of-the-art flight simulators with physiology-based courseware and interactive learning methodology to offer the ideal training and research environment requiring replication of extreme flight environments. The NASTAR® Center is a world benchmark for space and aviation training, Science Technology Engineering and Mathematics (“STEM”), aeromedical research, and product testing for aviation and space. As described by the FAA: The FAA’s Center of Excellence program is a long-term, cost-sharing partnership between academia, industry, and government. Congress authorized Air Transportation Centers of Excellence under the FAA Research, Engineering and Development Authorization Act of 1990. This legislation enables the FAA to work with center members and affiliates to conduct research in airspace and airport planning and design and environment and aviation safety, as well as to engage in other activities to assure a safe and efficient air transportation system.